Spring was in the air one pleasant afternoon as I left behind office duties to do a little fishing. Increased travel commitments had condensed my schedule, leaving me less time than desired to fish during the prime time of February in Florida. Such always brings a sense of urgency when I finally commit; subconsciously I realize I�ll only get one chance to pick the right body of water and species to target. With sunny, tranquil conditions, bass fishing got the nod. I hadn�t been to Lake George in a while, but it�s always a reliable choice on a calm day and one of the closest venues to my home, meaning I�d be floating in a half-hour or so. It was an easy decision. Barreling down U.S. 17 with the windows down and radio cranked, relief was in progress as I hit the boat ramp and launched my rig. As I crossed the open waters of Florida�s second largest lake, reed-filled shorelines came into view, signaling the first glance of the fishing grounds. Bass boats were everywhere, many anchored in key areas, relentlessly pounding likely bedding spots. The cover was thrashed, the water muddied from continued power-idling of 250-horsepower motors in inches of water. Mentally ruined, I made a few errant casts, as a couple loudmouth tourists exchanged words as to who cut off whom. So much for my day off. As many of you likely guessed by now, my everyday fishing experience fell victim to online tournament coverage. 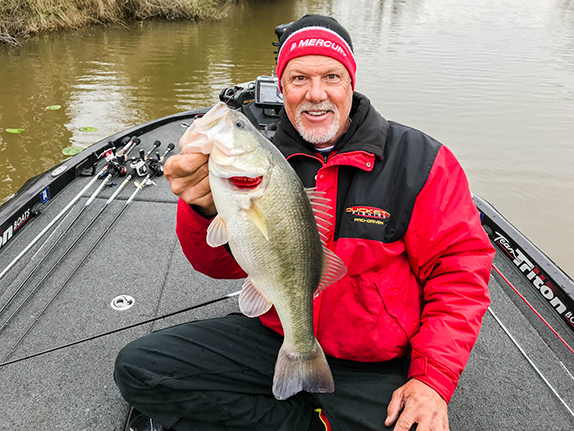 It�s no secret that the Bassmaster Elite Series had fished the area a few weeks prior to my trip, and numerous key fishing locations of the top finishers were revealed during the B.A.S.S. Live broadcast. While I considered such would place more pressure than normal on particular areas of my home waters, I had no idea so many vacationing anglers would completely revolve their travel plans around the coverage. I guess I shouldn�t have been so surprised. 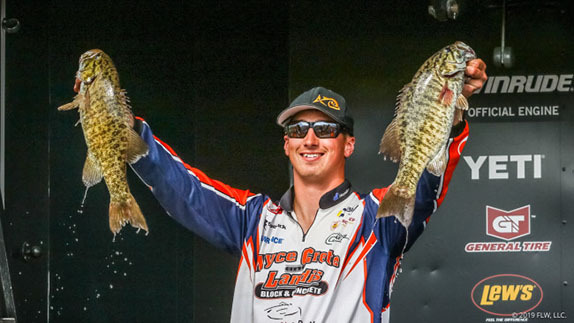 Several years ago, I watched as Lake St. Clair faced monumental fishing pressure shortly after being named the nation�s �best bass lake.� Almost immediately, the fishing fell off dramatically. For several years thereafter, St. Clair was a pitiful example of itself. Numerous locales throughout the country have felt the wrath of relentless pressure due to publicity. Lake Amistad immediately comes to mind, as it was the first border lake to be discovered by the mainstream. I�m told Clear Lake in California took a beating following it�s mega-weight tournaments and, more recently, numerous fisheries in northern Michigan have been flogged after exposure from Major League Fishing events. Sure, I may be griping like a crabby old man, but I wonder just how much our new path of detailed coverage will impact many facets of the game not immediately considered. 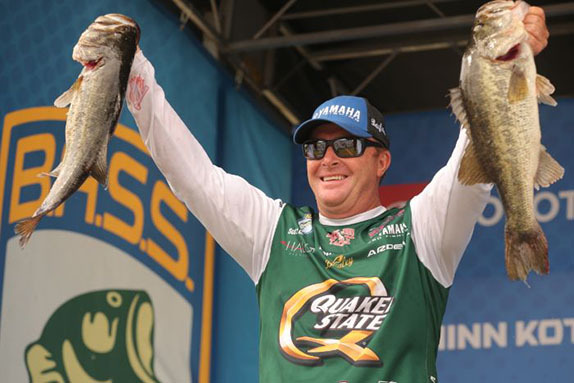 Without question, I�m a fan of live broadcasts and all the attention given to tournament bass fishing lately. But, as I continue to ponder all sides of the issue, I wonder how many recreational anglers are vehemently against it. One thing to consider is the actual reporting itself. It wasn�t long ago that television coverage of tournament events lacked any definitive locations of the anglers. Occasionally, we�d get a glimpse of a GPS coordinate when the cameraman focused on a sonar screen, but often there was no real way of determining an exact spot. In fact, many times such was safeguarded from showing up on film, as key components like channel markers or shoreline features were purposely left out of frame. Nowadays, we�ve got dropped pins and satellite mapping showing the exact locations of tournament leaders. Fans and hijackers alike immediately receive intel on the lake�s best locations and quickly move in following the tournament, if not before. I wonder, why is it so imperative to reveal every detail of a winner�s day? How does location information improve anything in terms of coverage? I know it doesn�t help the fishing. Also, I understand that increased partnerships are occurring between the broadcasters and tourism bureaus, resulting in a relationship where, essentially, locales receive advertisement for their fishing and outdoor opportunities, driving more dollars into their local economy. Lately, it�s been a very effective business model and a winning proposition for areas interested in increasing the number of visiting anglers. What isn�t fully considered, however, is the negative impact on the fishing, as well as on the area fishermen. Perhaps the folks in the local government should consider those who pay property taxes as much as those who pay taxes on hotel rooms. In the end, they may find one group sticks with them, while the others leave as soon as the bite dies.